Women usually prefer a well-designed pair of shoes and the one that makes a style statement. However, the best women athletic shoes are not only about design. 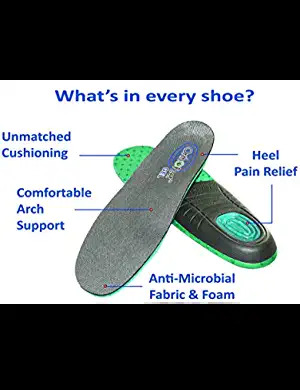 They are primarily about the comfort and the protection of the feet during workouts, athletic activities and playing a sport. Workout routine mainly consists of walking, running, sports, and gym exercises. A correct pair of athletic shoes is mandatory for such activities. Women’s athletic shoes are considerably different from athletic shoes for men, primarily because there are physiological differences in the structure of men’s feet and women’s feet. Women’s feet tend to be narrower with arched curves when compared to those of men. 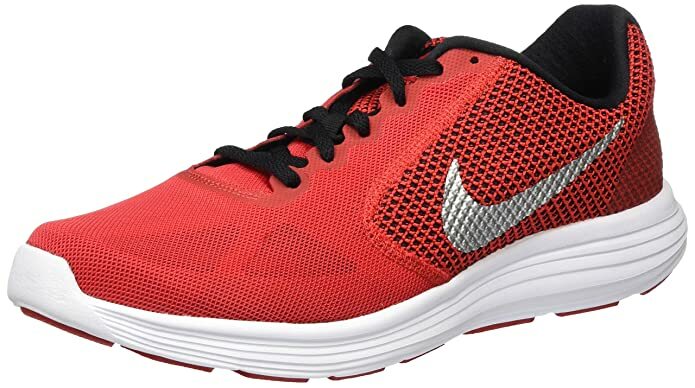 Athletic shoes are, therefore, specifically designed for different genders, considering the specific requirement of the feet of that gender for activities mentioned above although sometimes, some women will put on men sports shoes unknowingly so this post is to help you choose the right women sports shoes. The feet are one of the fragile parts of the body. They need to be protected from injuries that are likely during any athletic activities. Women’s athletic shoes should, therefore, have required protection built-in. Usually, women’s feet are inclined to roll inwards, which is also known as overpronate. But there are women who tend to use outside edge more. Such a tendency is referred to as over-supinate. Women’s athletic shoes should be flexible to ensure better coordination and quick “heel-to-toe” rolling movements” while simultaneously providing the solution to specific tendencies of the person wearing the shoes. The women that are inclined to overpronate, should opt for athletic shoes that control motion and offer stability. Unlike them, women inclined to over-supinate would require shoes with cushions. The size of the shoes. Watch out! Different brands have different sizes, and each of these sizes may represent different very measurements. Go by measurements rather than sizes. Just this week I bought ladies walking shoes (for work) so they need to be cozy and give me just enough space so my feet still feel comfy at the end of the day. As these were working shoes, I went a size larger than my usual( I do this with my working shoes)but when the shoes got here, I felt like they were made for mini feet, I usually put on shoe size 40 but ordered size 41 so you can imagine my disappointment when they arrived and turned out too tight even when put on without socks. • The shape or design of the shoes. • The weight of the shoes. Ideally, shoes that are lighter are preferred. • Cushioning within the shoes for absorbing shocks and impacts. Well-fitting shoes with required features are essential for preventing injuries. Grip requirement varies from one sport to another, and one athletic game to another. The shoe should be selected as per the specific athletic game which will also make them suitable for relevant surfaces. Traction is crucial in sports like tennis, whereas in football, a better grip is offered by the cleats on the sole. The materials used to make women’s athletic shoes are important and so are the technologies integrated into them. The shoes should not break while executing any athletic movement or crack during any climate. They should also be able to withstand the stress and strain they are subjected to on the surface used for the game. Women are conscious about looks and would like their sports shoes to look good too. It cannot be denied that the costs of footwear do affect final decision on which brand to buy and which not to buy out of the final. Naturally, it is a tall order, but in brick and mortar shops, these shoes can be tried. They may seem a tad expensive, but the plus point is there would be experienced personnel to help with selecting the right type of sports shoes or sneakers. would be needed for that. Athletic shoes these days are fine-tuned for a specific activity. 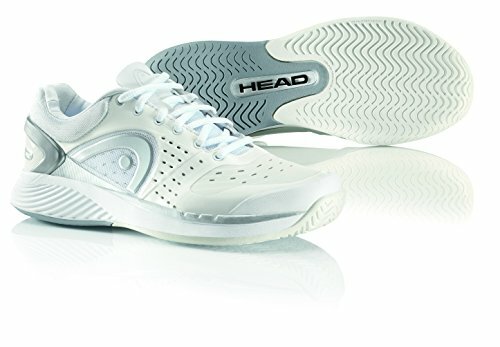 Therefore, shoes suitable for walking are different from those used for running or playing tennis. Some of the usages do overlap, but the main purpose cannot be compromised. 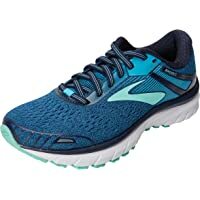 You would have to be sure whether you want to use women`s athletic shoes for cross-training, jogging, running, or walking to purchase the right athletic shoe. The brand has nothing to do with it really, brands are just personal preferences and maybe budget. Walking is the most common as well as popular exercise when it comes to planning a workout schedule. Casual shoes with good cushioning ability will serve your purpose for casual or brisk walking. Your foot should quickly roll from heel to toe so select the shoes that have flexible soles. If you are a light walker, then Asics “Gel quick walk” with a flexible forefoot can be a good choice as it is not so costly and also keeps your feet dry and fresh for long hours. On the contrary, for the brisk walkers, Ryka Constant would be the perfect pair as it comes with extra cushions. (please note that the image above is not of Asics Gel quick walk, this image just looked better). Sperry Topsider Seacoast sneakers are ideal for walking in the warm weather conditions because they have the top part made from breathable canvas. They are stylish, comfortable with good curve support. Likewise in the winters “L.L Bean” winter shoes are good choices as they are made of insulated and waterproof material. These are all-purpose shoes that can be linked to your walking and other sports activities, such as, basketball, aerobics, gym, tennis or weightlifting. The cross-trainer shoes should have an additional cushion support for the forward and lateral movements. 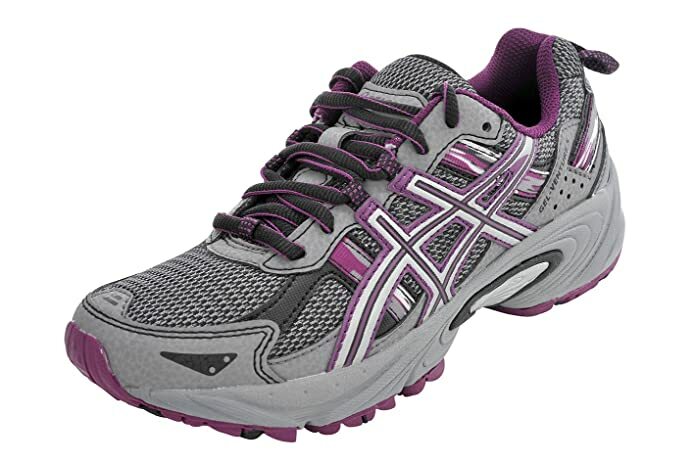 Asics “GEL-Exert TR” women’s cross-training shoes are perfect for treadmill and strength training. This pair of shoes is lightweight and gives you enough maneuverability and support during your workout sessions. Other popular cross-trainer brands that are value for money are “Inov-8 Women’s F-lite 235” and “New Balance Women’s 711 Mesh” which are one of the best for athletes. Running shoes should be robust enough to bear the impact of your landing on the ground. They should be flexible as well as supportive. In addition, they should provide extra cushioning to your foot when your foot stretches in the forward motion. Running shoes should be light in weight so that you do not lose your pace while jogging or running at a fast pace. Salomon “Women’s Sense Mantra” is a performance driven shoe which is used for fast running, trail running, hiking, and mountaineering. 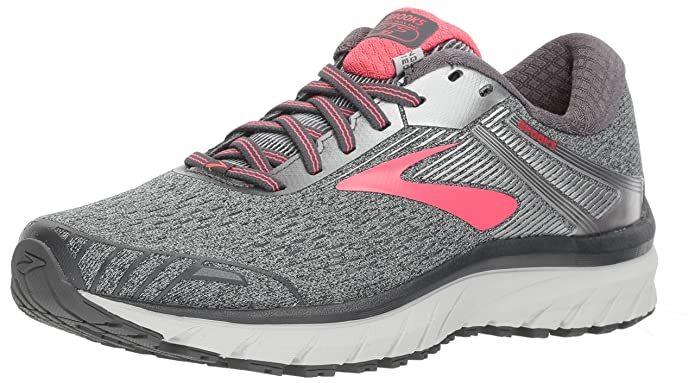 Montrail “Women’sCaldorado” is mid-range trail running shoe that is soft, flexible, cushioned and has a midfoot frame that is made from thermoplastic. Check other recommended footwear here. These are specialized sneakers meant for particular sports. For example, if you are an avid football, basketball, golf or tennis player then you require supportive shoes that will allow quick movements on the grassy ground. Asics Women’s Gel Netburner Ballistic is a good choice for volleyball players as its outsole is made of durable rubber that improves the court traction and also allows quick and fast bounce back movements. Tennis shoes vary as per flat feet, wide feet, or plantar fasciitis ligament. Ankle support is crucial in this game, as is the stability of the foot. Although this post was meant for the best women athletic shoes, I believe I have given you different choices in sports shoes for different sports. It is a common misconception that one type of shoe fits all. 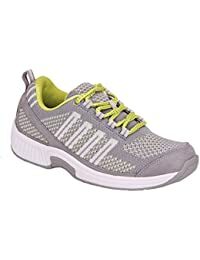 Women athletic shoes come in endless varieties which can be bought from the shoe store like Zappos, Foot Locker or Nordstorm.com and many other online stores. Check my post on choosing sports shoes. These stores also give discounts on the old model shoes during seasonal sales. But if you are certain of your shoe size and usage, then you can purchase shoes online as you will get a broad range of varieties at a lesser rate with more discount offers. However, it is advised to do some research before buying the athletic shoes that will fit both your budget and needs.